Regular readers of the blog have been introduced to my first donkey, just two weeks ago. Here is my donkey family member number two. The purchase of this donkey person was agreed yesterday, with Paco at La Piscina, Parcent. This is a lovely donkey and stable companion of the first donkey I bought. In fact, it was probably because I was so taken with the very young chocolate brown donkey that I didn’t really notice this other one. Barbara Reed, who is visiting from France, was the first to notice her today; we began to discern together certain qualities about this donkey that were similar to Dalie – the donkey I walked with in the summer. 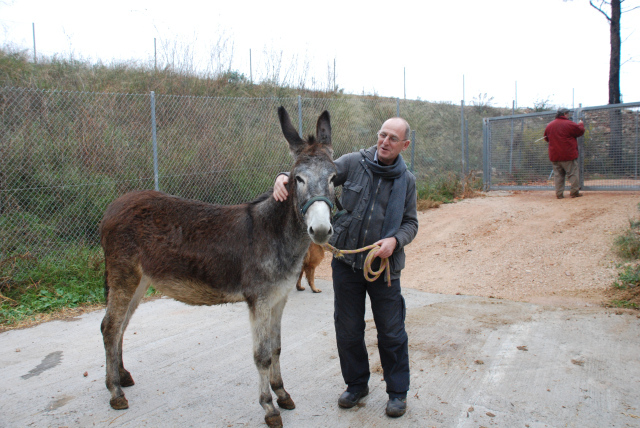 My plan to get a giant Andaluz was looking increasingly difficult – with the small number of pure breds being a main factor – and I decided to simply go for this stable companion of my first donkey. There was a moment’s suspense as we waited to find out which animals had been sold and which were still available for sale, and Paco told us that this one was still available. There was a little bonus… She is pregnant: the foal is due in August. We agreed a price and she is now mine. 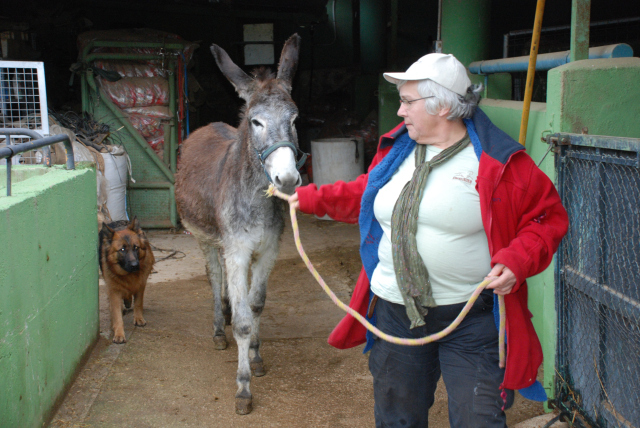 The search for suitable donkeys is over! I have two lovely animals, different in many ways, but coming from the same little happy stable group. Deo gratias! As explained in a later blogpost in 2011, there was a complete muddle over passports. The passport I had showed the donkey called Matilde. 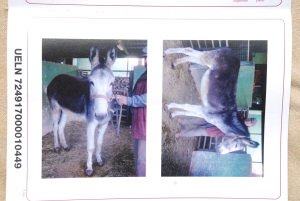 The following August the previous owner arrived in a panic with a different passport and told me I had the twin sister of Matilde, who was called Balbina and the microchips had been misread when the donkeys were sold. I had called her Matilde from the start and I was not going to call her anything else, so the name stayed the same. Poor old donk: she bears her sister’s name. The name Balbina was the name of the previous owner’s grandmother, he told me.